In addition to our lighted indoor arena, we have a lighted outdoor arena 90 X 150. The indoor is sand and the outdoor is stone dust with some sand. We also have trails...you can be out for about an hour at the walk without retracing your steps. We also have a small round pen and a standard round pen. Recently we added 6 more sheds to the fields/paddocks. We have lockers for your "things", (first come, first serve) and 2 tack rooms heated slightly in the winter. Stall boarders may have one tack box in the hallway. There is a tack up shed for the field boarders, but even the stall boarders like to use it. Come spend your Time in the Saddle with us!! CT Reign is a 100% Davenport homozygous grey Kuhiylan-Haifi. AS Tahir is black, Al Khamsa bred, half Davenport. Mare care is $4/day or $6/day with foal. You can bring your mare to us when she is due to foal..we'll make sure she foals with help. Sales: We sell young stock...usually before they are even weaned. Occasionally we get information on arabs available for sale. Stall board (newer barn with 60 X 120 indoor arena) is $350/month for the first horse, $300 for the second horse (same owner). Stalls are 12 X 12 without a window, or 10 X 12 with a window. Flooring is unique 2X4 locust boards on end every 2 " separated with crushed stone. This system minimizes need for large amounts of ammonia/bacteria laden bedding. Bedding is saw dust. 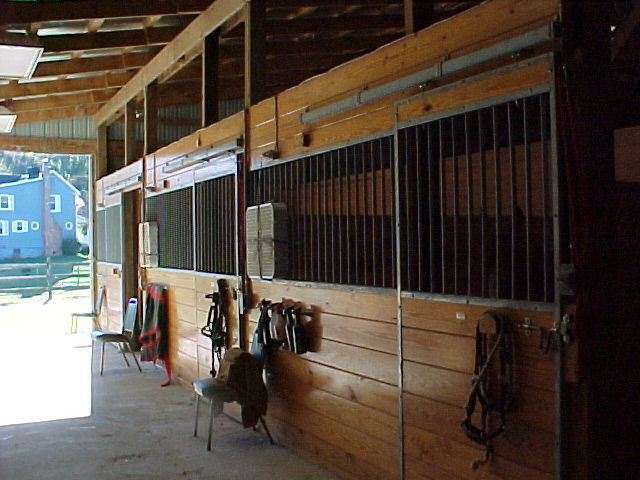 All horses are handled twice daily to be led into or out of their stalls. Field board is $130/ month. Space is limited. A lease is $145/month (all expenses included except your outfit). 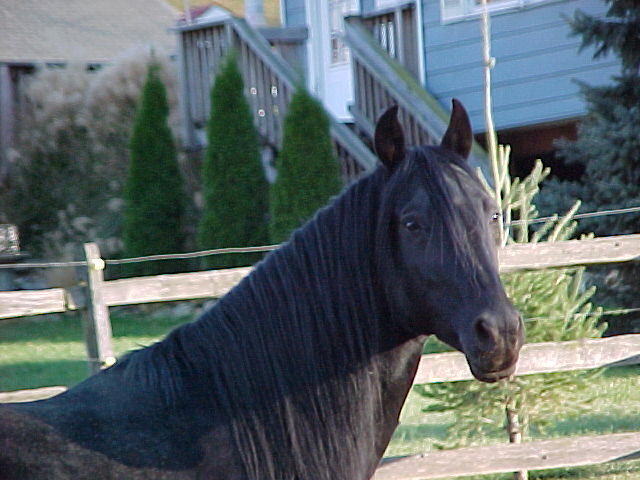 A lease is a great way to own a horse without having to purchase one. Leasing gives you the opportunity to decide if owning a horse is a committment that you really want. For information on these options or availability, please contact us!! PRIVATE lessons (for new students) are $30/session on your own horse (or your leased horse) and $35/session on one of our school horses. Sue teaches basic dressage and balanced seat. Some semi-private lessons can be arranged with a slight discount. (can be on a school horse). Contact Sue for availability. If you would like to take your horse on vacation, check out our rental house which includes a corral!! Click here. LET US KNOW IF YOU HAVE A HORSE looking for a good home. We are looking for sound school/trail horses.